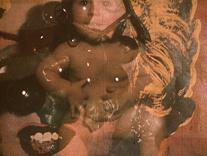 The long time awaited compilation of painter/filmmaker Alfred Leslie's films will be published by Lux this June. 'Alfred Leslie, Cool Man in a Golden Age, Selected Films' is a compilation of Leslie's key films including his classic 'beat film' Pull my daisy (1964), made with Robert Frank, and The last clean shirt (1966), fruit of his collaboration with american poet Frank O'Hara. The DVD features also a new self-interview by Leslie and a rarely seen short documentary from the sixties featuring borh O'Hara and Leslie. DVD9 + booklet, NTSC, Region free, 148 minutes, 20GBP. The publication will be preceded by a launch event at the Tate Modern next June 24. 'Cool Men in a Golden Age: Alfred Leslie and Frank O'Hara' will focus on the collaboration between the two artists and also serve to promote as well the launch of the book We Saw the Light, Conversations between the New American Cinema and Poetry by Daniel Kane (University of Iowa Press, 2009). A print edition of online magazine Incite! 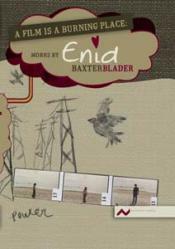 issue #1 ('Manifest') is available through their website (10 US$ +s/h). Cinema Abbatoir releases its third thematic compilation, 'À Rebours' ('Countdown'), a 'transgressive short films DVD compilation emanating from the Void, from sexual atomisation and a Black eternally Blacker than Black'. Edition limited to 500 copies. 15 US/CAN $. NTSC, Region free, 55 minutes. 19,99 USD. Available through Microcinema. May will be the Stephen Dwoskin month at the British Film Institute. 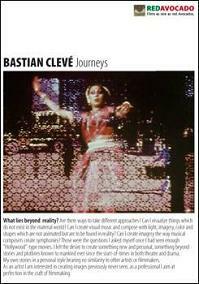 A series of film programmes at the BFI Southbank will complement the release at the end of the month of a DVD edition of Central Bazaar (1976). The partial retrospective will include seminal feature films such as Behindert and Dyn Amo, two programmes of short films, Stephen Dwoskin in conversation with Paul Willemen (May 6) and a 2-day workshop. Additionally, from May 6 to June 28, visitors to the BFI Southbank will be able to watch the three-piece installation Dream House (2008), at the Atrium. Central Bazaar DVD; 2 discs, PAL, region 2, colour, 156 min. 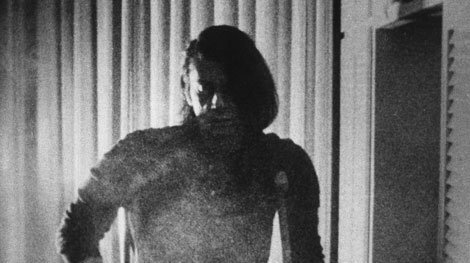 Extra features: Laboured Party (1974, 20 mins), and an illustrated booklet with contributions from Jonas Mekas, Paul Willemen and William Fowler. Release date: May 25. 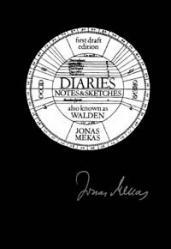 Jonas Mekas' Diaries, Notebooks and Sketches (Walden) has been re-released on DVD by Microcinema. This edition includes 2 DVDs, a poster and a 150-page book 'with unpublished texts by 60 authors including the personalities appearing on the film.' This edition seems to be an update to the existing re:voir one on VHS. A PAL DVD edition of Walden is scheduled by re:voir for later this year. 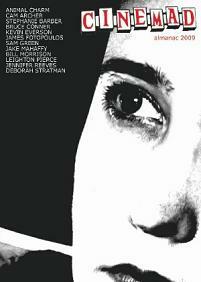 NTSC, 4:3, Mono, Region free, 180 minutes, 75US$. 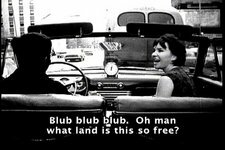 English, French, Spanish, German, Italian, Lithuanian, and Japanese subtitles. 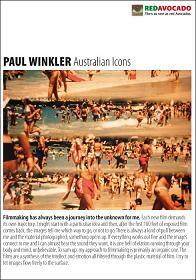 The new label Red Avocado has released today its first title: Paul Winkler: Australian Icons selects some of the Germany-born filmmaker's most famous and awarded works. Includes the films Sydney Harbour Bidge (1977, 16mm, colour, sound, 13 mins), Bondi (1979, 16mm, colour, sound, 15 mins), Ayers Rock (1981, 16mm, colour, sound, 21 mins), Time out for Sport (1996, 16mm, colour, sound, 17 mins), Rotation (1998, 16mm, colour, sound, 17 mins). Bonus: © Paul Winkler (Mark Daley, Nicole Reid and Dominik Muench, MiniDV, colour, sound, 11 mins). DVD PAL, Multizone, 94 mins., 25€ (includes S&H for Europe). Index releases its 33rd DVD with Maria Lassnig: Animated Films, compiling the animations the austrian filmmaker, founder of the Studio for Experimental Animation, made while living in New York in the seventies. Includes the films Baroque statues (1970-74, 16mm, sound, 15 min), Iris (1971, 16mm, sound, 10 min), Chairs (1971, 16mm, sound, 2 min), Selfportrait (1971, 16mm, sound, 4:30 min), Shapes (1972, 16mm, sound, 9 min), Couples (1972, 16mm, sound, 9 min), Palmistry (1973, 16mm, sound, 10 min), Art education (1976, 16mm, sound, 8 min), Maria Lassnig Kantate (1992, 16mm, sound, 8 min). DVD PAL, Multizone, 76 mins., 28,8€. - The British Film Institute releases the boxset GAZWRX: The Films Of Jeff Keen, both in DVD and Blu-ray formats (4 and 3 discs respectively). The set will include 45 restored and remastered films by the british filmmaker, along with many extra features: A new nterview with Jeff Keen, Art Flies Free (2000) – experimental documentary by Ian Helliwell; Jeff Keen Films (1983) – documentary with interview; a.96-page booklet featuring paintings, drawings and collages by Jeff Keen plus articles by Tony Rayns, Ray Durgnat and Jack Sargeant. Release date February 23, PAL, Region 2, 540 minutes, £34.25. - US publisher Plexifilm, has announcede the release of 13 Most Beautiful... Songs for Andy Warhol's Screen Tests, compiling 13 out of the 500 'screen tests' or film portraits that Andy Warhol shot in the sixties. The films selected for this compilation feature: Paul America, Susan Bottomly, Ann Buchanan, Freddy Herko, Jane Holzer (Toothbrush), Dennis Hopper, Billy Name, Nico, Richard Rheem, Lou Reed (Coke), Edie Sedgwick, Ingrid Superstar and Mary Woronov. DVD extras include a behind-the-scenes documentary on the live production of the performances, and a video interview with Dean & Britta about Andy Warhol and the music they have created for this DVD.Release date March 10, NTSC, Region free, 80 minutes, $34,99. There is also a special limited edition available.